Gartner has identified five stages of supply chain planning maturity and they say that 70-80% of companies plan to increase their supply chain planning (SCP) technology spend over the next two years to climb to the next level. In their recent report titled Carefully Assess Which Tools Are Right for Each Stage of Supply Chain Planning Maturity (20 October 2017, Tim Payne & Amber Salley), the analyst firm describes the right tools to get from one level to the next. 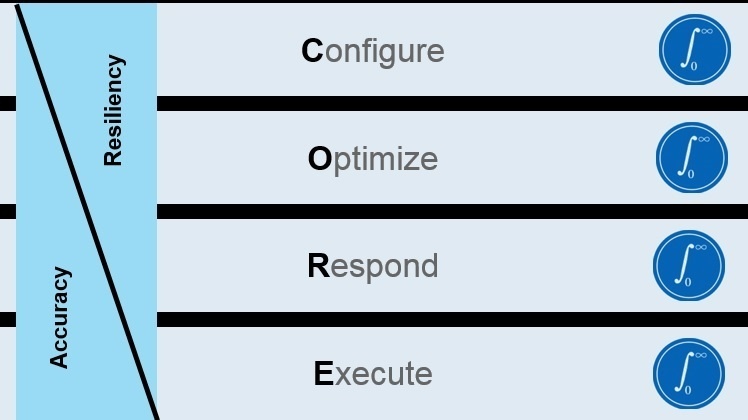 For this blog, we’ll focus on just one of those steps, from Stage 3 to Stage 4. Stage 3 is where firms coordinate their supply chain processes—shifting concentration from functional capabilities to end-to-end processing for more planning visibility across the wider chain. Here, Gartner says, "The demand plan is integrated with inventory, production and replenishment plan to provide a foundation to address the end-to-end supply chain planning decision." Instead of stand-alone tools, firms migrate to a planning System of Record (SOR) to collaborate, simulate scenarios, and plan—a degree of coordination that enables more trade-offs toward an optimized, end-to-end plan. Gartner says that having created a foundational layer in stage 3, firms advancing to Stage 4 should generate plans that strengthen resiliency in the supply chain and deliver more value to the business. The way to do that, they say, is often by adding planning Systems of Differentiation (SOD) such as Sales and Operations Planning (S&OP), Multi-Echelon Inventory Optimization (MEIO), and Demand Sensing. For example, MEIO enables inventory policy to accurately reflect all the sources of demand and supply variability across the enterprise chain. "The deployment of these new inventory strategies results in a company being able to change the shape of the exchange curve between total supply chain inventory and customer service," says Gartner. 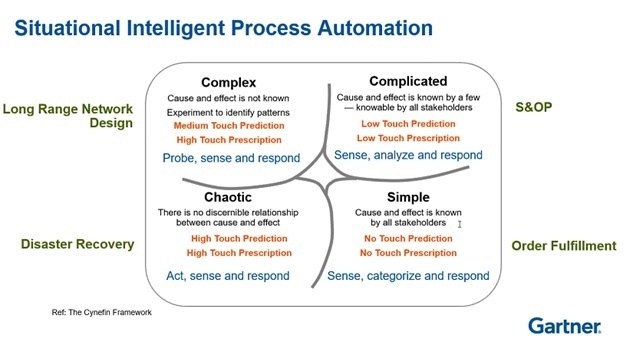 Stage 4 SCP technology tools help organizations make what the report characterized as more "complicated" and "complex” decisions (See diagram below). "End-to-end planning decisions such as an inventory strategy and optimization and S&OP trade-offs fall into this [complicated] category.” Stage 4 SCP technology tools let companies more capably probe data and sense cause-and-effect relationships to make the right call. Stage 4 tools also enable organizations to execute margin-focused optimization to profitably react to volatility, complexity, and ambiguity. Stage 4 firms want more responsiveness and agility. They want higher-fidelity plans. They want functions such as demand planning, inventory replenishment, S&OP to work well together to make more optimized and profitable decisions in the face of added complexity.